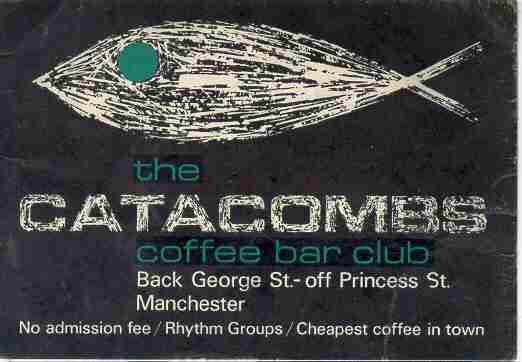 We first saw the Catacombs on 21 November 1964 when we played at a meeting in the Holdsworth Hall in Manchester. After the meeting, Val Grieve took us to see the building and renovation work being done on the basement of a building in Back George St, Manchester, in preparation for the Catacombs' opening. Val, of the Manchester Christian Businessman's Association, was excited by this new venture in coffee bar evangelism (see the pictures below). 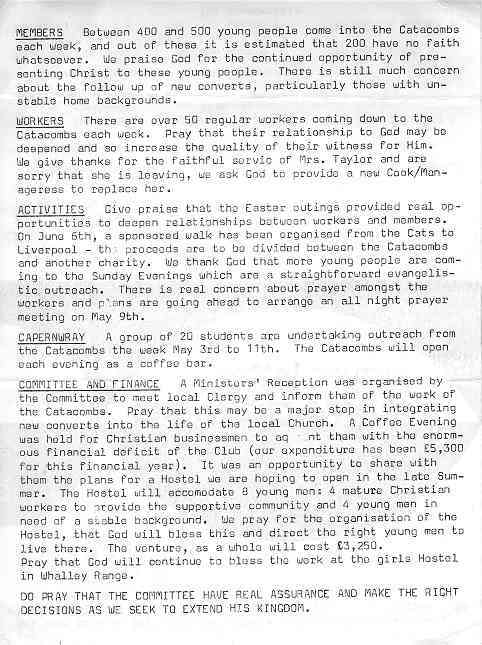 Our first time playing there, which we think was the opening meeting, was a few weeks later on 17 December 1964 with Stuart Briscoe as the speaker (was John Dyer there too - not sure). 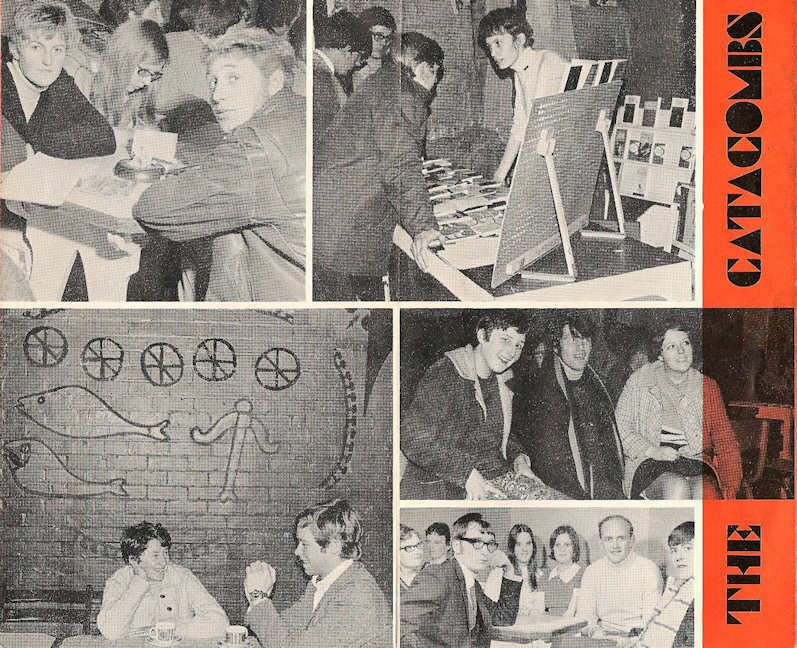 The Catacombs went 'full-time' on 24 October 1965. 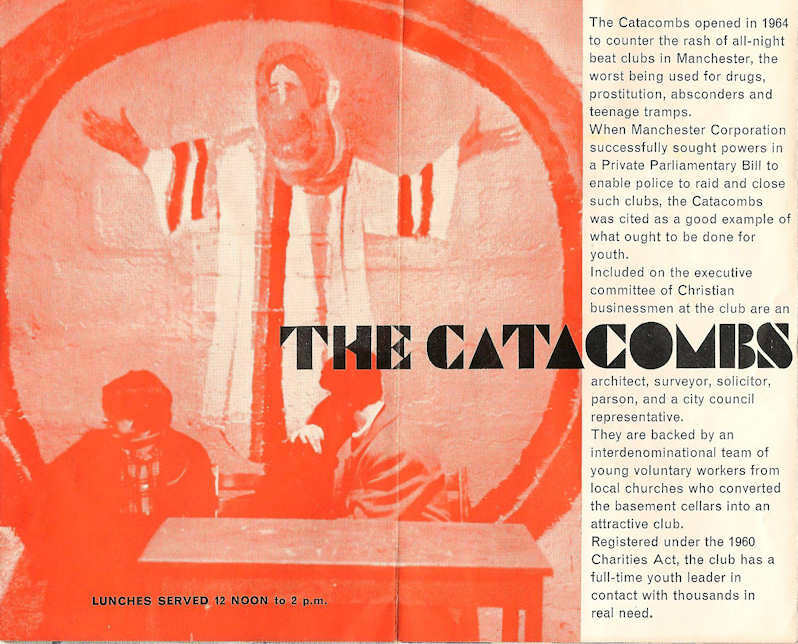 The emphasis was on evangelism, but there was also a strong social programme, and a pioneering work with the drug addicts of the Manchester city centre streets. 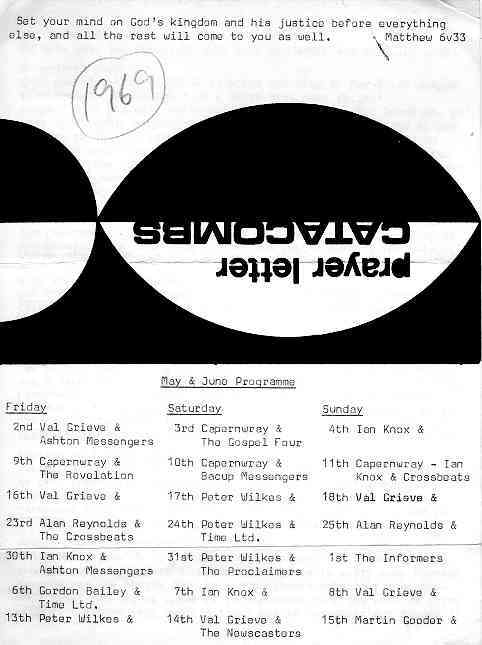 Altogether, it would seem that the crossBeaTs played about 66 times at the Catacombs, from December 1964 to December 1971. The last recorded booking that we have a note of was on 18 December 1971. There is some rather limited video footage (cine film) of the group playing at the Catacombs. Dave Eastwood 24 October 1965 - September 1966? 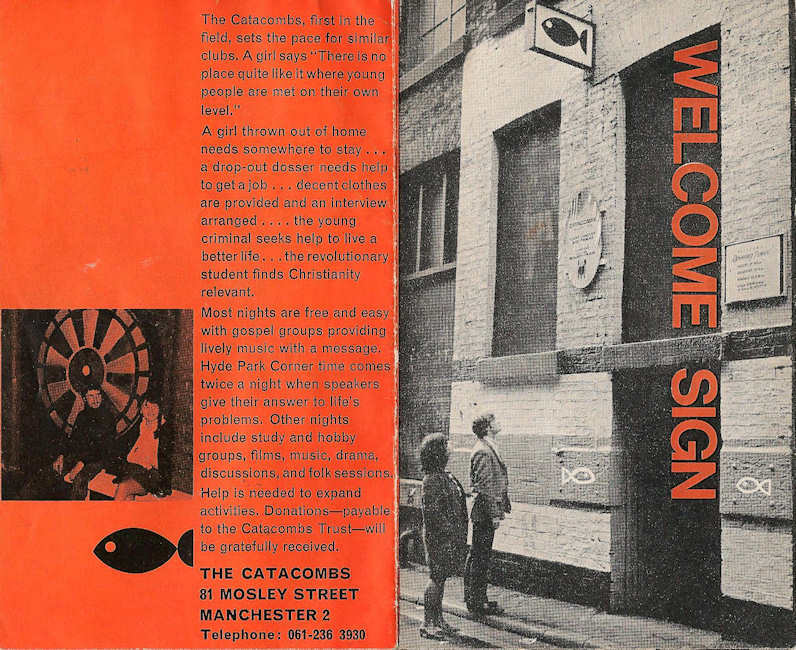 1968 to the end of the 'Cats', ~1971) It should be noted that the 'Catacombs Trust' continued after the Coffee Bar closed. 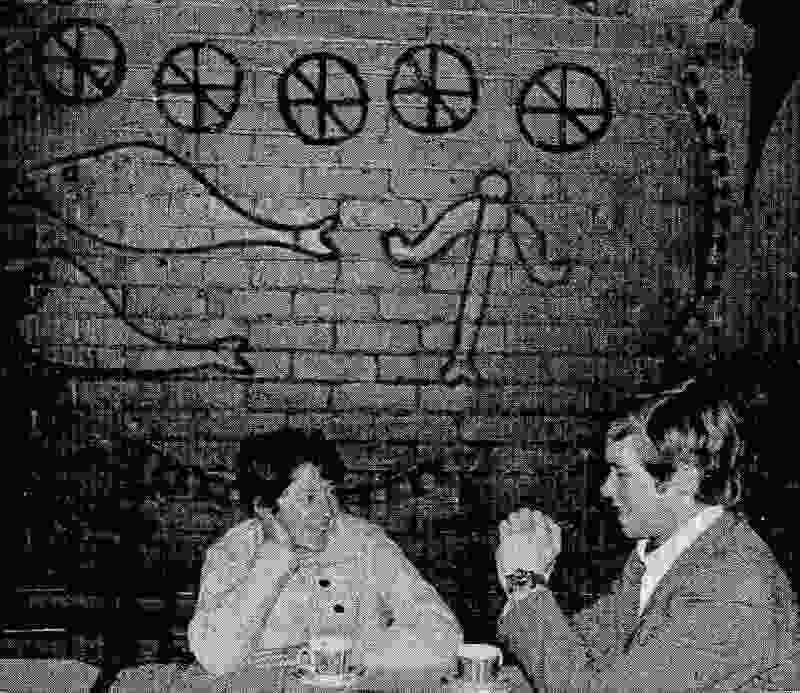 Frank White was detached Youth worker at the Catacombs Trust between 1973-1977. He was later ordained, and in March 2002 became Suffragan Bishop of Brixworth, Peterborough. The Catacombs Trust presently runs a number of housing projects in the greater Manchester area for single homeless people with support needs (Halfway Project, Rowan Tree House, St. Cuthberts Rectory). Other, more recent workers include Alan Ashley, a street worker in Manchester. The Trust is currently based at 91a Piccadilly, Mancheste. I may be wrong, but it would seem to have lost its evangelistic outlook. 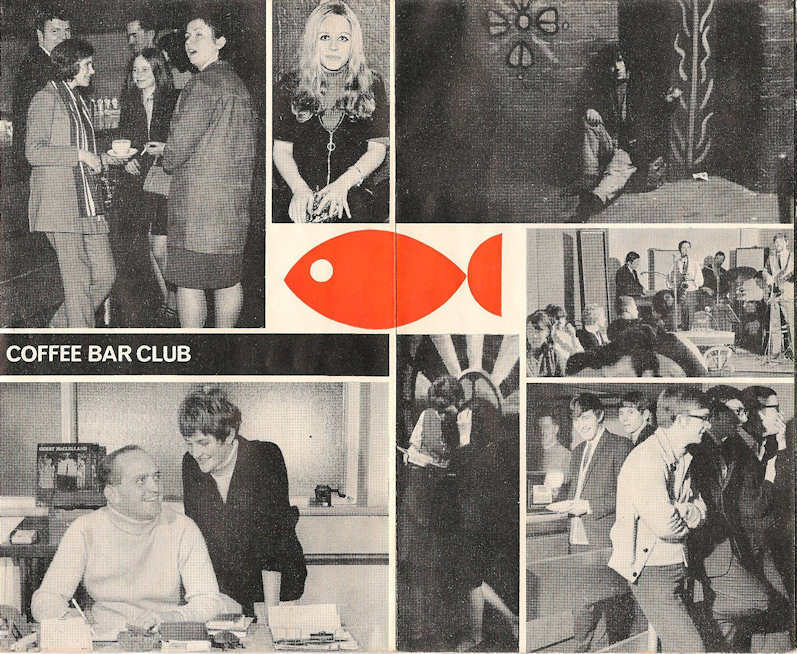 The following leaflet (four pages), also from 1969, shows various views of the catacombs and catacombs people. The leader, Cyril McIlhenny, is seen in a couple of images. Such was the dearth of recorded contemporary Christian music (there was very little on record), that the Catacombs would record live groups, and then compile tapes of assorted Christian music. These tapes would be played as background music in the coffee bar between the group sessions. Edwin Brain (see prayer partners) was perhaps the main worker behind this. Some of these recordings are available on CD. In May 2007, I reveived this e-mail from Norma Huxter (nee Boulton), which has some recollections of the Catacombs. I don't know whether you will remember me, Norma Boulton (now Huxter). I was the nutty blonde who always ran everywhere instead of walking like everybody else. I don't do much physical running now as I'm a wheelchair user but I'm still very active for the Lord Jesus Christ here in Essex where I now live. I am a part-time Disability Trainer for a Christian organisation called 'Through The Roof', as well as taking services and speaking at meetings. 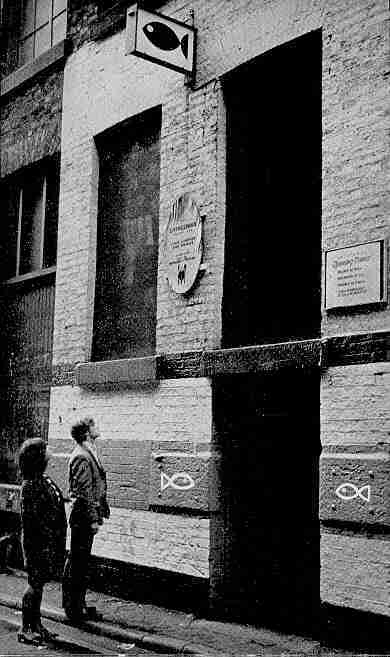 I used to be a worker at the 'Cats' and I remember you and the Crossbeats' regular visits to Manchester. In fact I still have your LP and songbook (sad hey?). I also remember the Witnesses (the Witty's) as they were affectionately known. The Glorylanders, The Concords, (I still have their LP too), The Heralds, I went with them to the Isle of Man one year. Adrian Hope, one of the The Calvary Links was a member of my home church in Manchester at that time. I'm sure there are other groups too who used to come on a Saturday or Sunday evening to give the gospel message in song. I used to do the memberships alongside my friend Christine Hacking who did the bookstall down by the Back George Street entrance. I still ocassionally see Ian Knox who has held several missions in Braintree (where we go to St Michael's church). My husband David and I went to Coventry to help Ian's organisation 'The 40:3 Trust' celebrate their 20th Anniversary last September. Something which I remember quite well is the tragic loss of Sam's sister in an airplane crash and how it affected us all. If there is anything in particular you want info about, do let me know. I've a fairly good memory and being nostalgic is all part of growing old gracefully and remembering the good times and how God has got us through life thus far.